Fury is a really good movie. Probably one of this year's best so far. 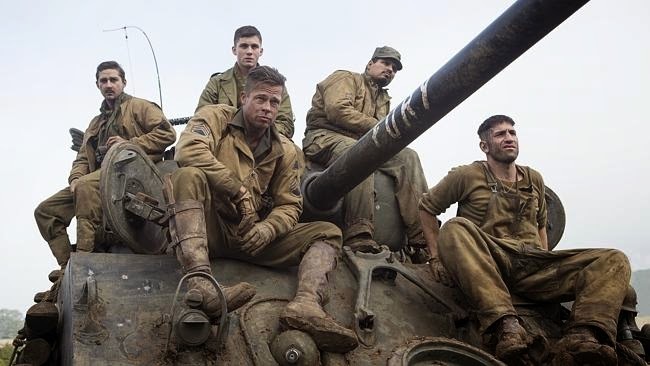 It takes place in World War II, where a tank called "Fury" is led by Brad Pitt's character and is run and manned by Shia LaBeouf, Michael Peña and Jon Bernthal. When one of their tank-mates is killed in action, he is replaced with the unskilled, good-willed Norman, played by Logan Lerman. Going into this movie, one would expect Brad Pitt to be the film's lead but he's really not. The story's protagonist is Logan Lerman. Despite the fact that Pitt has the same or maybe even more screen time than Lerman, he is really a supporting character in the movie. The movie gives us some brutal war violence, which used no shaky-cam or rapid editing. It was clean, clear shots and showed us the horrors of war. It wasn't stylized action: it was real, gritty warfare. Another thing this film did right was it had a very real human element to the story. A lot of times in action movies, the hero shoots up and kills all these people and they're just shown as something for him to tear through. What this movie does is shows us the impact that killing one person can have. This is prominently shown in a brilliantly acted scene where Pitt tries to get Lerman to take the life of a captured Nazi but Lerman is completely unwilling. Pitt, who has been at war for so long, is used to the death and destruction he has experienced for years but Lerman shows us, the audience, what it means to take the life of one person, a story element a lot of movies don't really explore. This movie also tried to humanize the German people. A lot of World War II movies have it clear cut: the Americans are good and the Germans are bad. But this film gives us a pretty substantial scene where we see Pitt and Lerman interact with these two German girls and after seeing the Nazis earlier in the film being so brutal and cruel, we get to see a human side to them. It tries to show that in reality, there are no good and bad guys. People are fighting because each side thinks they are the good guys, something war movies don't really convey as much. The acting was fantastic in this movie, especially from Lerman who I had only seen in the Percy Jackson movies. I didn't realize he could be that good of an actor. I honestly think every time he's on screen he outshines Brad Pitt. Everyone else in the movie is good, but Lerman really sticks out. The script, written by Ayer, is great as well as the direction. There were some really cool and well done shots. However, I feel like some of the movie could be trimmed down. While there aren't any specific scenes I would cut entirely, there are scenes that go on a bit too long. The scene in the middle where Lerman and Pitt interact with the German girls was an important scene but it went on for like 20 minutes, which definitely could have been trimmed down. 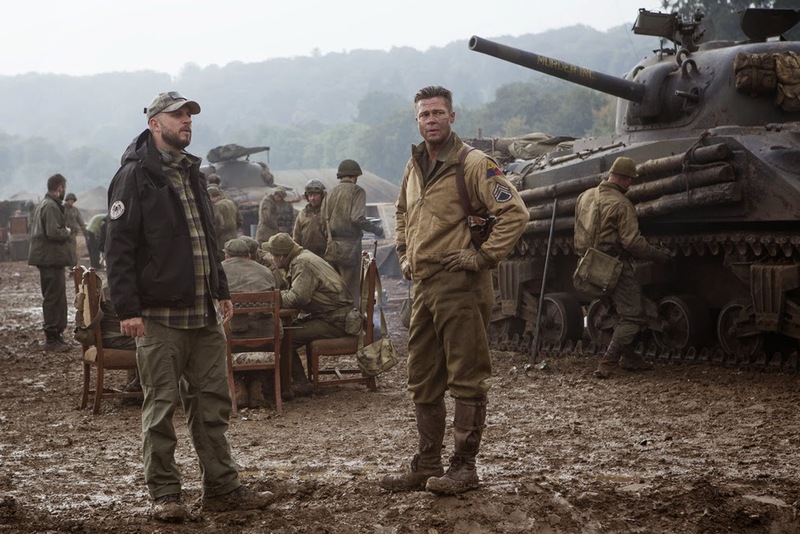 Overall, Fury paints a very real and gritty picture of World War II, giving us some strong human elements to the story as well as some great acting. David Ayer really redeemed himself for me after seeing Sabotage. While I don't think this will go up for any major Oscar nominations, it certainly has a chance. What do you think? 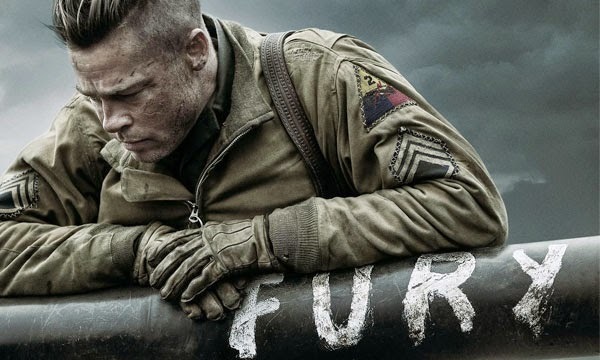 Have you seen Fury yet? Did you like it? Leave your thoughts in the comments section below.